At The Appraisal Foundation, we often encounter misperceptions about the appraisal process in real estate transactions – from how an appraisal is ordered and carried out, to the type of communication permitted with appraisers. As a result, we have compiled the most common myths that we hear from lenders, borrowers, real estate brokers, and homebuilders. Whether you’re a first-time homebuyer or a real estate professional with years of experience, you may be surprised. Myth: A lender and an appraiser cannot communicate before, during, or after an appraisal is complete. Fact: Not only are lenders permitted to talk to appraisers, they must. Communication is essential for the exchange of appropriate information, including the intended use of the appraisal, the scope of the work necessary for credible assignment results, and more. Myth: Nothing can be done if a lender has concerns or questions regarding a completed appraisal. Fact: If there are questions or concerns with an appraisal, there are concrete steps lenders can take, like submit additional comps for the appraiser to consider, request the appraiser correct errors in the appraisal report, and ask the appraiser to provide further detail to explain his/her conclusion. Myth: Lenders must use an Appraisal Management Company (AMC) to order an appraisal. Fact: Lenders are entitled to engage an appraiser directly. However, to avoid any potential undue influence on the appraiser, certain safeguards are required (e.g. in most cases the person at the lending institution selecting the appraiser cannot be the same person approving the loan). Myth: AMCs are necessary to ensure that appraisers aren’t influenced by lenders. Fact: Regardless of whether an AMC is used, lenders are not permitted to influence the value of a home, and licensed and certified appraisers are required by law to follow strict guidelines (i.e. the Uniform Standards of Professional Appraisal Practice) that guarantee an unbiased and meaningful analysis of value. Myth: An appraiser is hired by the borrower. Fact: Even though the borrower may be responsible for the cost of an appraisal, appraisers are hired by lenders. Appraisers provide an analysis of the collateral, so that lenders understand the value of a property when making the loan decision. 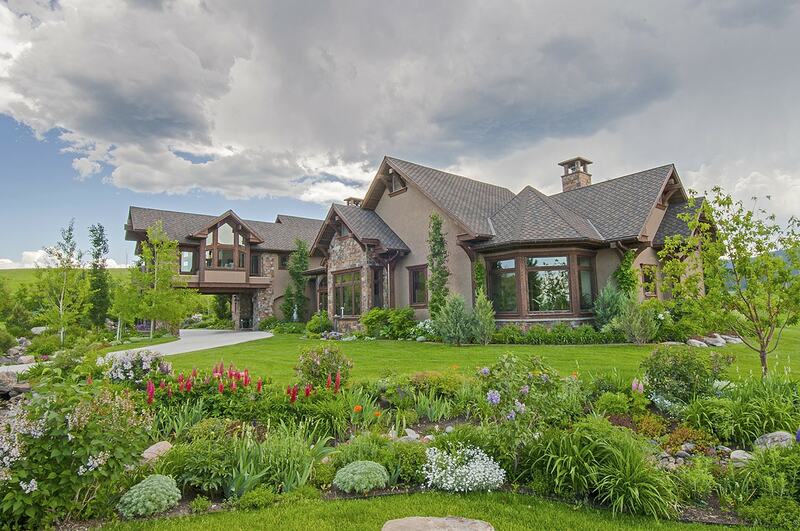 Myth: The money put into a home translates dollar-for-dollar into a higher appraisal. Fact: The cost put into a home improvement project may very well add value to a home; however, the value of any improvements are based on what the market is willing to pay for them, and may not necessarily correlate to the cost. Not all renovations positively impact property values. Myth: Appraisers set the value of a home. Fact: Appraisers don’t set the value of a home, nor do they confirm a home’s sale price. Their role is to produce a credible opinion of value which reflects the current market. Myth: Appraisers and home inspectors perform the same function. Fact: Though both provide crucial information, their roles are very different. An appraiser provides an objective, unbiased analysis so the lender can better understand the value of a property. An inspector is typically hired by the borrower and performs an objective visual examination of the physical structure and systems of a house to ensure the structural integrity of the property. Myth: Real estate brokers are prohibited from communicating with appraisers. Fact: Brokers are permitted to communicate with an appraiser and to provide them with additional information as long as the communication is not intended to unduly influence the outcome of the appraisal. The exchange of relevant information- including terms of the sale, relevant comps, and home improvements-can help an appraiser develop a more credible opinion of value. Myth: Nothing can be done if a broker has concerns or questions regarding a completed appraisal. Fact: If there are questions or concerns with an appraisal, there are concrete steps brokers can take through the lender, like submit additional comps for the appraiser to consider, request the appraiser correct errors in the appraisal report, and ask the appraiser to provide further detail to explain his/her conclusion. Myth: Appraisers request copies of the purchase agreement from brokers simply so they’ll know how much to appraise the home for. Fact: Appraisers are required to review the purchase agreement (if available during the ordinary course of business) to fully understand the terms of the transaction. Appraisers don’t simply look at a pending sale price and try to “justify” the transaction. The perform research and analysis to provide their own opinion of value. Myth: Homebuilders are prohibited from communicating with appraisers. Fact: Builders are permitted to communicate with an appraiser and to provide them with additional information as long as the communication is not intended to unduly influence the outcome of the appraisal. The exchange of relevant information- including construction features, details, and upgrades, as well as relevant comps-can help an appraiser develop a more credible opinion of value. Myths: Nothing can be done if a builder has concerns or questions regarding a completed appraisal. Fact: If there are questions or concerns with an appraisal, there are concrete steps builders can take through the lender, like submit additional comps for the appraiser to consider, request the appraiser correct errors in the appraisal report, and ask the appraiser to provide further detail to explain his/her conclusion. Myth: Appraisers only rely on comparable sales and do not take into account the cost to build a home. Fact: Appraisers do need to consider the cost to build a home and, at times, must perform a cost approach to deliver a credible appraisal. However, because cost does not always equal value, appraisers cannot simply look at what it costs to build a home to provide an opinion of value. They must perform research and analysis to determine what the marketplace is willing to pay. By David S. Bunton. David S. Bunton is the President of The Appraisal Foundation.